Sal Cikikcioglu a.k.a. “The Eyebrow King”, is a brow, skincare and beauty expert. He previously dabbled as a model and actor before beginning his YouTube career, making him a natural in front of the camera. His presence and influence grew very quickly due to the engaging, step-by-step nature of his content. 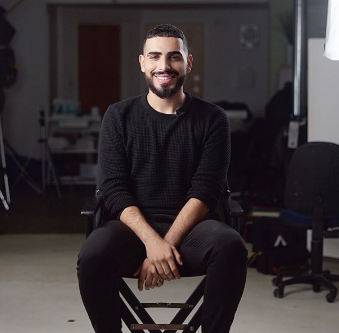 Sal’s videos are primarily brow, make up and skincare based, but often features content exploring other aspects of his life, such as mental health and body positivity. As well as his social media career Sal regularly works as a brow consultant, ensuring a large number of celebrity and VIP clients (including Little Mix and X-Factor) have the best brows and are always camera ready.